New completely remodeled home, beautiful kitchen, with new cabinets, granite counter tops, all new appliances, eating area. New hardwood floors through-out the home, cute fireplace to accent the great room. In addition to these features the home has all new systems, electrical, plumbing, new furnace, central air conditioning. The outside has been completely repainted and the roof is newer and was inspected. Home has two bedrooms and a beautiful new bathroom. 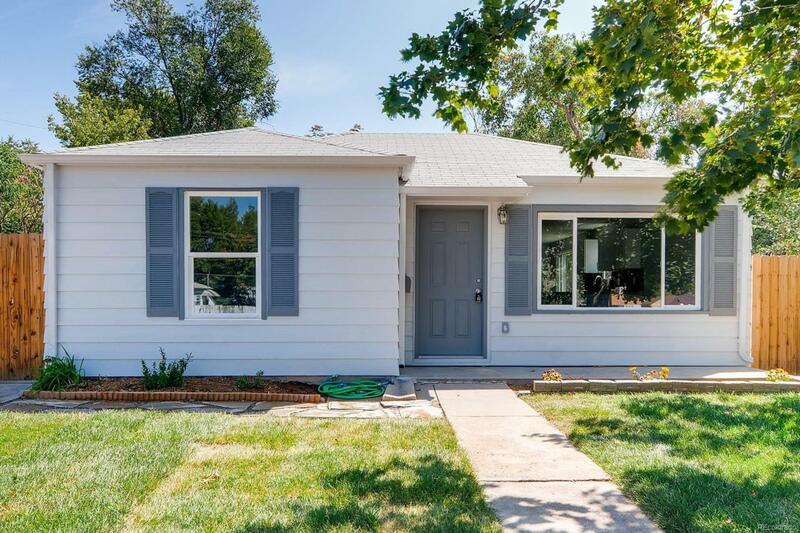 This home is only 1 1/2 miles from the CU Medical Center and near Stapleton, shopping, bus and light rail. Don't miss the opportunity to own this home.